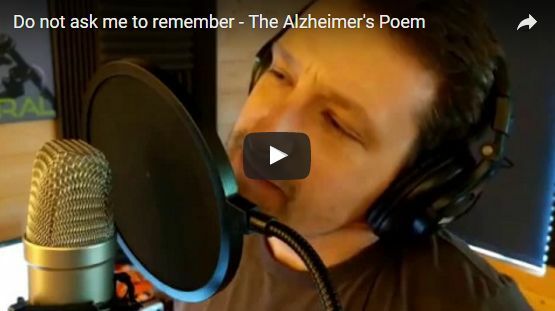 This is a gorgeous musical version of the Owen Darnell poem often referred to as the 'Alzheimer's Poem'. 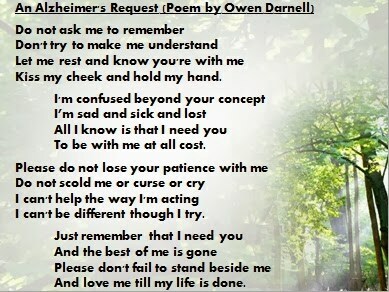 This is my musical version of the Owen Darnell poem of the same name - Often referred to as the 'Alzheimer's Poem'. Sadly, my Dad is struck with this horrible disease and we have had to watch it gradually take him further from us year after year. The words of the poem are very powerful, especially for anyone who has seen the effects of the disease first hand. To all affected - sufferers and carers alike, my thoughts go out to you. Stay strong. Try Googling Owen Darnell. It is his poem. Many thanks for the kind comments on my song.